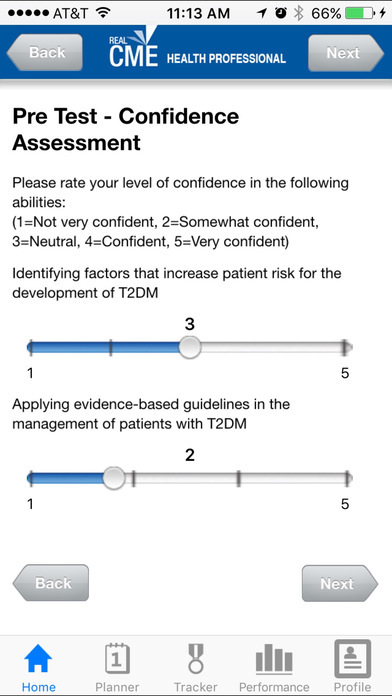 The most convenient way to do continuing medical education (CME) is on your iPhone! Over 300,000 health professionals rely on RealCME mobile and online resources to make informed medical decisions and improve patient outcomes. The innovative FREE RealCME Health Professional app is available to help practitioners fulfill continuing medical education requirements (CME/CE) requirements and stay up to date with the latest medical developments -- right on your iPhone. 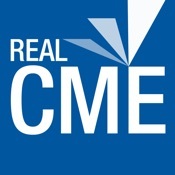 RealCME Health Professional offers the widest variety of unique, interactive continuing medical education activities across numerous specialty topics, with new activities added frequently. Activities are accredited by AMA, AAFP, AANP, AAPA, ACPE, ANCC, AOA, APA, COPE and others and supported by an advanced personal CME toolset. What sets RealCME Health Professional apart? Choose from a wide variety of CME activity formats that reflect real-world experiences of health professionals. Patient-based activities integrate authentic decision-making opportunities, peer-to-peer interactions, and expert discussions. You’ll have the opportunity to manage patients over multiple visits and settings, and view how your selections compare with those chosen by the faculty and other participants. All completed credits are tracked automatically in your personal CME toolset and copies of your certificates are directly emailed to you. In addition, you can use this app to track your mastery of a particular topic in real-time, compare your mastery levels with other learners, review scores of completed activities, review all previously answered questions and correct answers along with faculty commentary, set up and track performance goals, schedule follow-up activities, and more! Every three months you’ll receive a personal report summarizing all of the CME activities you’ve completed, activities that you’ve started but not completed, your progress against CME credit goals and performance goals, and a summary of your mastery levels by topic along with comparisons to all other learners. Your activities are synched on both platforms to enable you to switch between your computer and mobile device while you work on a single activity. For example, start an activity on your iPhone, and finish it on your computer. You can also access RealCME Health Professional directly via an Internet browser at http://hp.realcme.com/cme. RealCME Health Professional iPhone app requires an Internet connection to view and complete activities.